Eskolaite is a simple chromium oxide (Kouvo & Vuorelainen, 1958). The mineral name honors Professor Pentti Eelis Eskola (1883-1964), of the University of Helsinki. 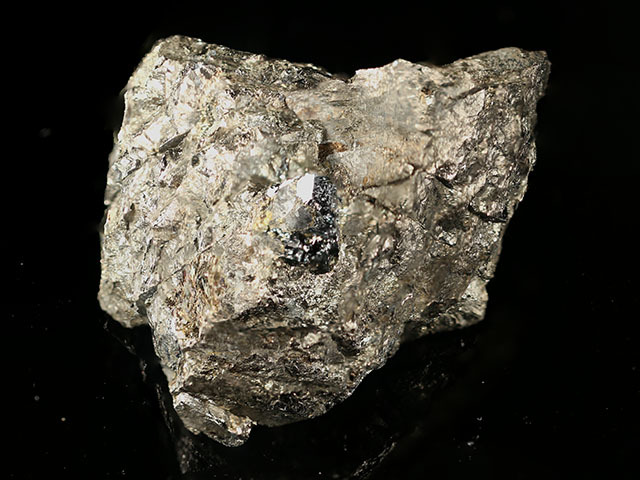 Eskolaite has the same crystal structure as corundum and hematite. 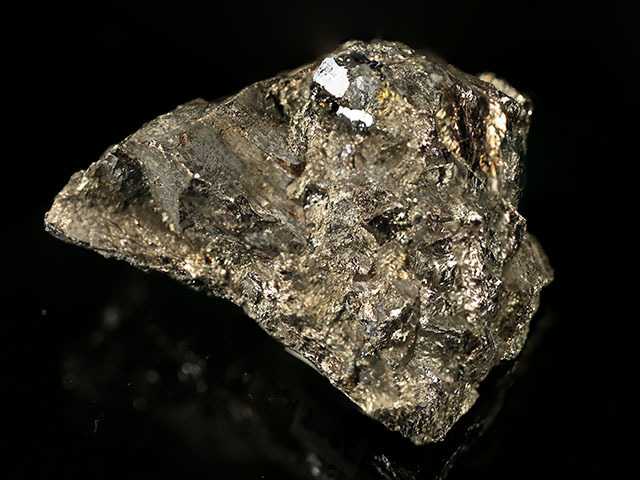 Like its more common relatives, eskolaite forms hexagonal crystals. 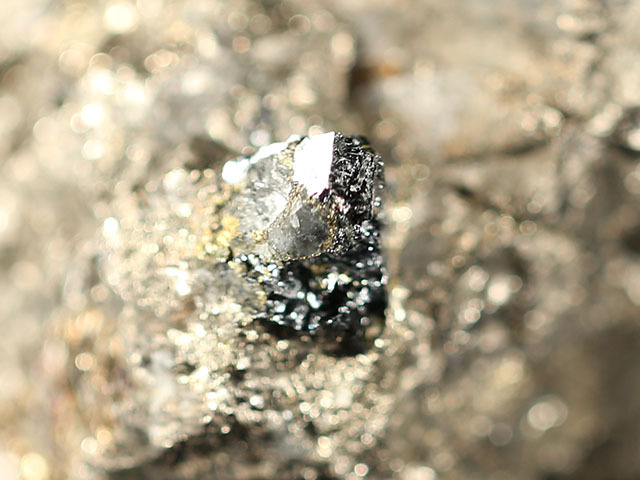 Eskolaite here forms a 6 mm crystal that originally broke off the matrix and is now re-attached. These are rare specimens, only found by breaking the chalcopyrite-pentlandite ore, and consequently many such pieces are repaired. Large crystal! This specimen was part of the personal collection of Ralph Merrill, proprietor of the prolific mail order business Minerals Unlimited. Merrill's collection card and label ship with the specimen.